The above from Dragon USA. I think that Dragon USA's PR department has pretty well spelled things out. Cyber-hobby and Dragon have both done the modeler a real favor by reissuing older kits with extra bits and at a very nice price. This one is their venerable StuG III ausf B that comes with individual link Magic Tracks as well as a nice figure set depicting German soldiers from the time of the invasion of the Soviet Union. In addition to the individual link tracks, the set includes two very small photo etch frets that include engine screens and brackets to hold the barrel cleaning rod. The StuG is basically a pretty simple kit as tanks go so were it not for the links boosting the parts count, this one would be a real light-weight. As it is, it boasts 380 pieces. Markings are provided for two vehicles, which is a bit unusual as normally these orange box kits only provide one set of markings. One is the box art kit from Abt. 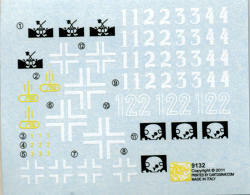 142 with the Death's Head markings. 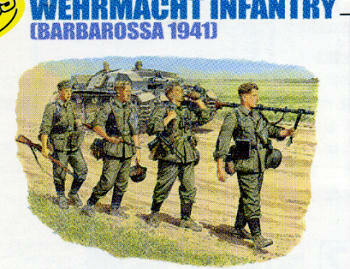 The other from the popular 'unknown unit; Russia'. You do get a bunch of vehicle numbers so you can do variations that are appropriate. 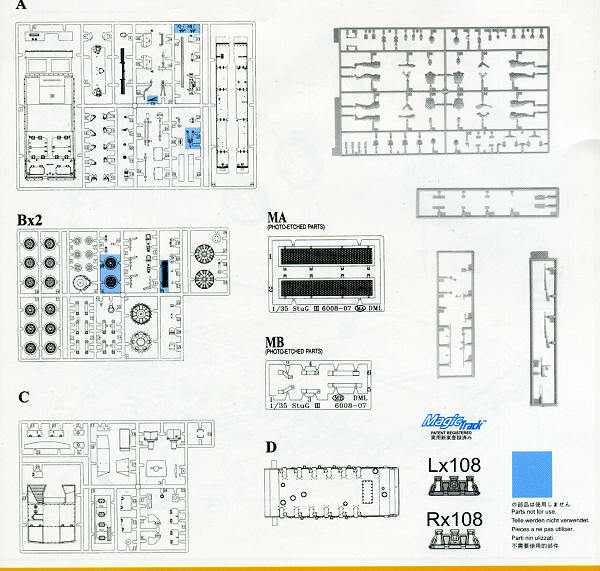 The well done instructions show where everything goes and provide Gunze and Model Master paint references. The back of the sheet offers painting instructions for the figures that go along with it. 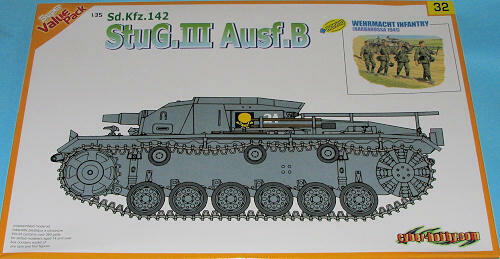 If you want a very nice StuG III kit, figures, and don't want to pay a lot for it, then this is the kit for you.